In late January this year, the Quebec government brought the Firearms Registration Act into effect. It requires the owners of all non-registered firearms to register such guns in a database available to law enforcement officials. In other words, the provincial government introduced a long-gun registry. The coming into force of the Quebec-only version was a bureaucratic moment, timed neither to coincide with past shooting tragedies nor to respond to new ones. The legislation, moreover, is about as non-judgmental as one could want: there’s no fee to register, and the penalty for non-compliance is a fine (anywhere from $500 to $15,000, depending on the type of infraction). If someone repeatedly refuses to register, the courts can seize and eventually confiscate their guns. But the legislation doesn’t provide for jail terms for chronic offenders. This law, applicable only to a portion of Canadians, represents the end point of a horror show that began on December 6, 1989, when Marc Lépine walked into Montreal’s l’École Polytechnique and killed fourteen women (and then himself) with a Ruger Mini-14—a rifle with an automatic reloading mechanism. The massacre predated Columbine—considered by many to be the event that spawned the mass-shooting epidemic—by a decade. In the immediate aftermath of the Montreal shooting, the Canadian public was galvanized into action. Ottawa established a national gun registry in the 1990s, under Bill C-68, which allowed police to keep track of individual firearms and also know if one might be present in a location where a crime is taking place. 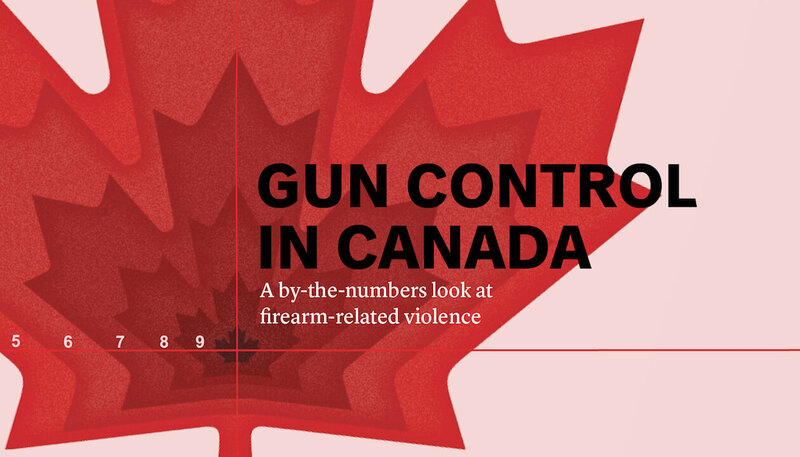 Police chiefs across the country issued press releases confirming the usefulness of a national database that tracked firearms, stating in 2010 that Canadian police checked it about 11,000 times a day. The registry process, however, became mired in mismanagement and overspending and became a talking point for Reform Party and Conservative Party politicians, as well as rural voters—a wedge issue almost as salient and bait-y as fixing the Senate. Then, in 2012, nearly a year after the Tories reached a majority under Stephen Harper, the federal government passed the Ending the Long-gun Registry Act, in part to mollify long-standing complaints from hunters and some rural voters. The legislation dismantled some of the previous gun-control provisions and also ordered, among other things, the destruction of existing records. In response, Quebec continued to register non-restricted firearms and also filed a court challenge, which the Supreme Court dismissed in 2015 (after which the province’s registration forms were no longer accepted). The politically motivated death of the federal registry should serve a reminder that Canadians are not nearly as clear-eyed about these issues as we like to imagine. While last month’s shooting at Florida’s Marjory Stoneman Douglas high school evoked a wearyingly long list of other US shootings, some of them very recent, Canadians should remember that such terrible crimes have also occurred here, including one just last year: the Quebec City mosque shooting, which left six dead. 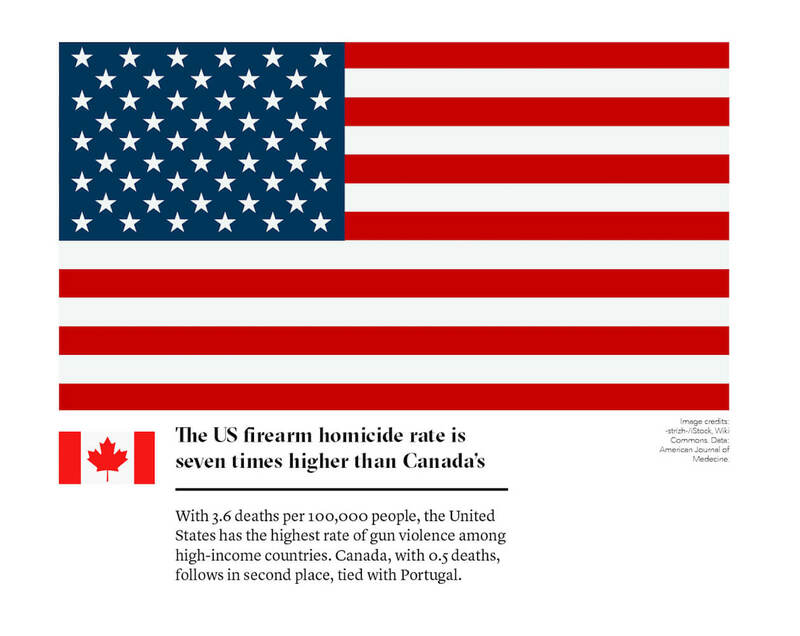 All Canadian gun-related killings, in fact, should force us to ask whether our own firearms laws are as robust as many assume them to be. Indeed, at a time when so many people have been riveted by the electrifying determination of the young survivors of the Florida shooting, it’s easy to overlook the fact that the Liberal government of Justin Trudeau, with its cloying self-righteousness, has studiously avoided most of the gun-control reforms it promised in the 2015 election. “The gun registry saves lives,” Trudeau said in 2011 on the anniversary of the Montreal massacre. Today, however, he’s largely dismissed long-gun registries as ineffective and, perhaps more saliently, politically divisive. Canada does have fairly strict gun laws. There are detailed licensing procedures, age restrictions, and background checks required before you can purchase a firearm. Gun shows are allowed and do exist here, but we are, thankfully, constitutionally predisposed not to fetishize the role of armed militias. What’s more, some categories of firearms—“restricted” and “prohibited” (e.g., handguns, sawed-off shotguns, fully automatic rifles)—must still be registered, so police know where these weapons are. Still, in light of all the US massacres and the recent one here, it seems reasonable to ask why Trudeau’s Liberals have been so slow to move on their promises to do more and are also so unwilling to resurrect a useful gun-control tool. The long-gun registry focused on “non-restricted” firearms, such as the one Lépine used. It was also widely praised for—among other things—its role in helping police respond to domestic-violence calls and suicide prevention. If one took the rhetoric of the Conservatives and the gun/hunting lobby at face value, these long guns were primarily the sorts of rifles and shotguns that would be used for sport shooting or other similar applications, especially in rural areas. These sorts of guns, goes the argument, pose no safety risk because would-be criminals wouldn’t, presumably, make the effort to register in the first place. While bump stock, an add-on that greatly increases the speed with which a semi-automatic can fire, is not on offer at this retailer (it is not permitted in Canada), there are entire pages dedicated just to the hundreds of “non-restricted” long guns. Providing they have the licences to acquire it legally, customers can also choose to purchase restricted firearms, including the Tokarev TT33, the $300 semi-automatic Soviet pistol with which Saskatchewan farmer Gerald Stanley fatally shot Colten Boushie, an unarmed Indigenous man. (Stanley was later found not guilty of second-degree murder; he said the gun fired by accident.) Or a person might purchase a non-restricted firearm, such as the Kodiak Defense CZ 858, the semi-automatic rifle Alexandre Bissonnette is reported to have had in his possession when he allegedly shot six worshippers in a Quebec City mosque last year. 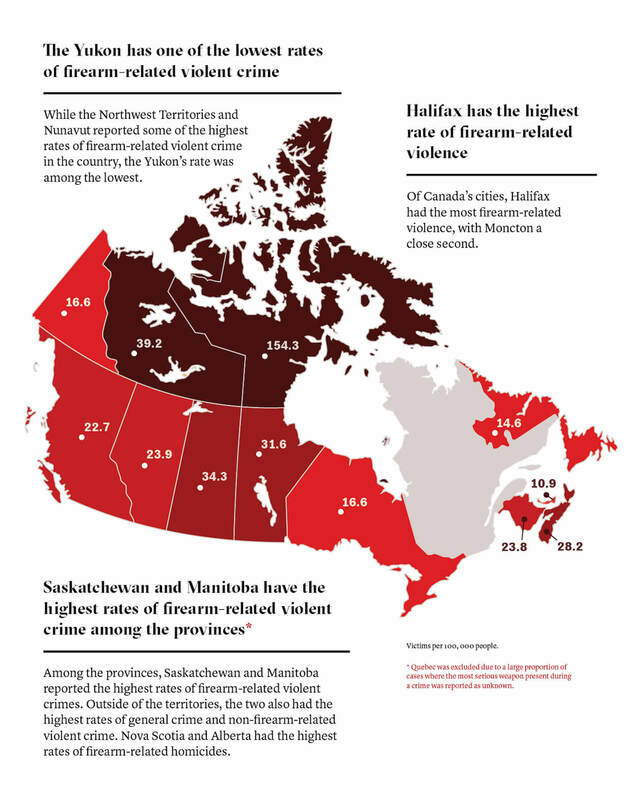 In short, there’s clearly a robust market for legal firearms in Canada, and some of those guns end up killing people. 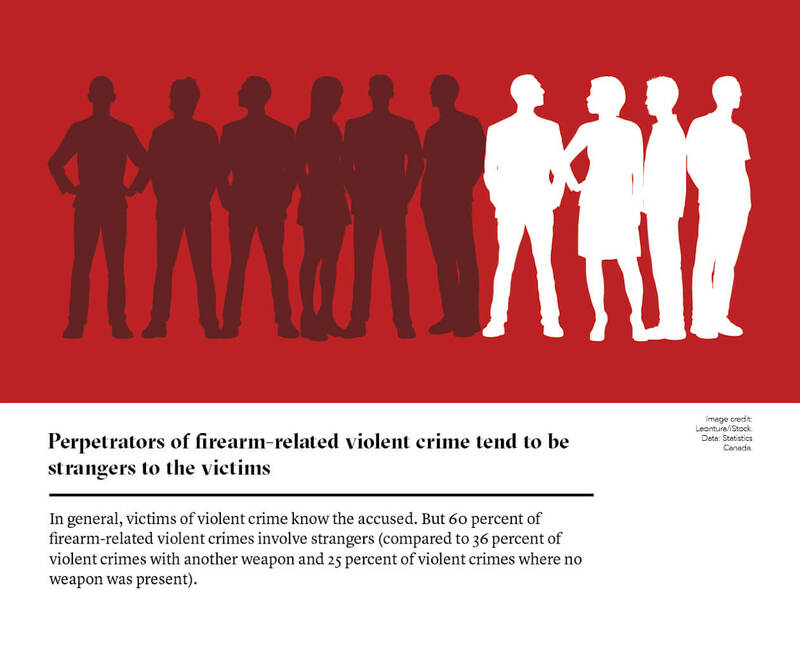 Beyond that, the number of registered restricted and prohibited firearms leaped slightly more than 20 percent between 2013 and 2016, from just under 850,000 to more than 1 million. In 2016, moreover, Canadian law enforcement officials recorded over 15,000 weapons violations. The jump indicates that the number of weapons in private hands is growing, but it also suggests that many owners do comply with gun-control regulations and register their firearms. 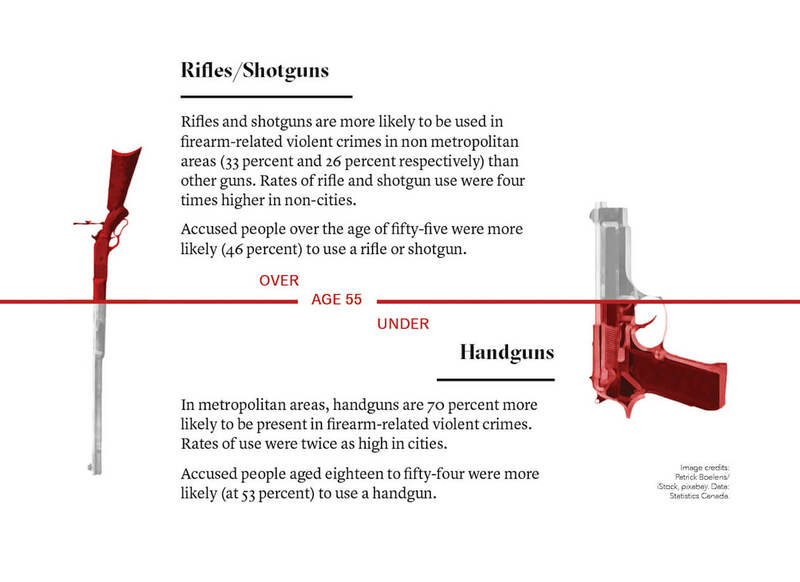 Is there a relationship between the growth of gun ownership and the growth of gun-related crime? Yes, some of the firearms used in crimes, especially in urban areas, are smuggled handguns that come up to Canada in the panels of car doors. But if we can wag our fingers at American conservatives who balk at any suggestion of a causal relationship between the proliferation of guns and mass shootings, we should certainly be prepared to admit as much here. Besides mere partisan calculation, this position seems increasingly indefensible. 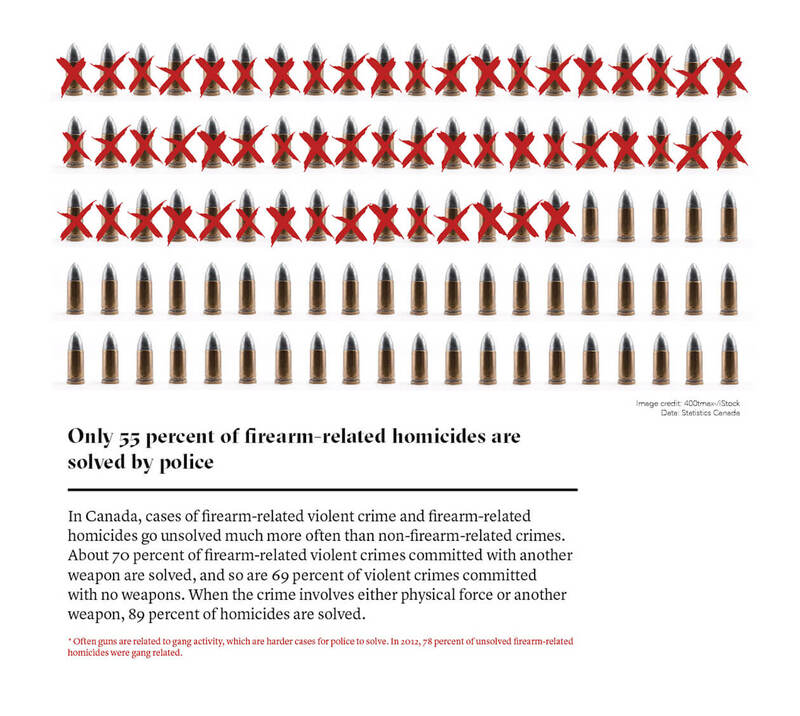 The registry, as Canadian police chiefs have repeatedly said, helped them fight gun crime. 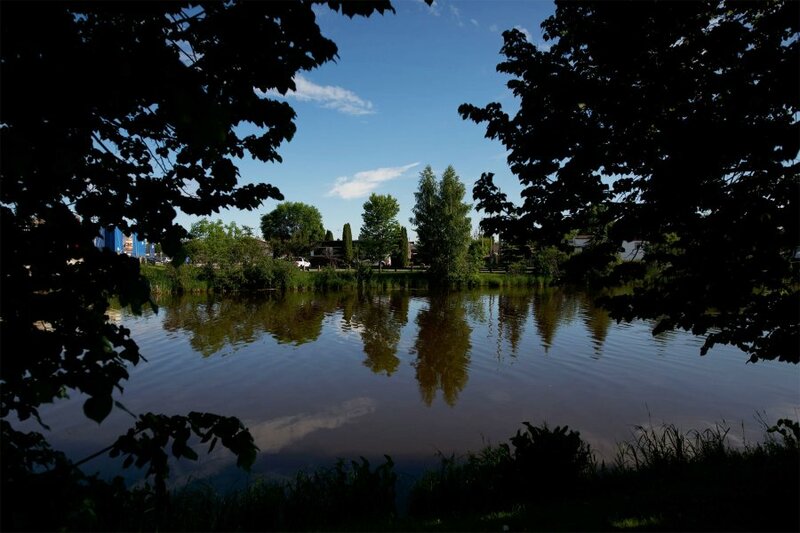 Quebecers have agreed to adopt their own new registration rules with barely a grumble. 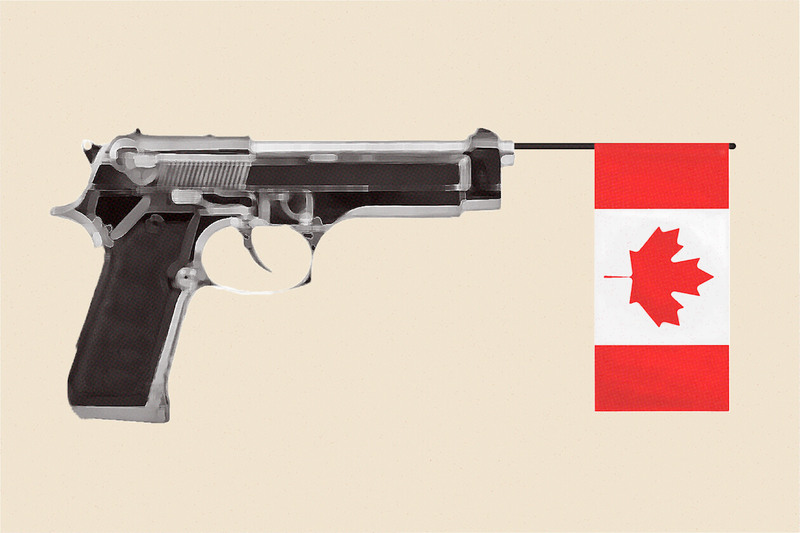 Canadians, in turn, own a growing number of guns. And by the government’s admission, the number of firearm-related crimes has been rising, quite steeply, in recent years. What could the Liberals possibly be waiting for?